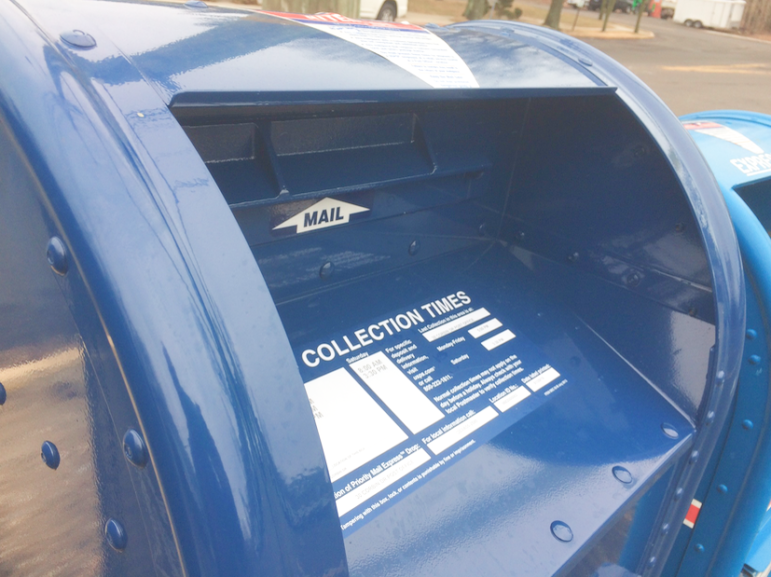 Two more thefts of mailed checks in mid-January have been reported to Darien police, but in the meantime, the mailboxes recently damaged from a later incident have been replaced with a type considered much less likely to have mail stolen from it. The two new mailboxes have thinner slots to accept mail, and there’s no door to open or piece that sticks out toward a car at the drive-up spot. Otherwise, they look like ordinary Post Office deposit boxes. Side view of one of the new mailboxes. Don’t look for a handle to pull: Just slip your mail through the slot. The mailboxes were installed late last week. Similar mailboxes are replacing the older models in New York City, where thefts have been occurring from them. In fact, these new mailboxes look identical to the ones now being installed in New York City. When you drive in, pull up close, because that slot is set back on the new mailboxes. Police have said thieves use a bottle with a sticky substance on it, tie it to a string and then, essentially, “fish” for mail that they pull up. When they find checks in the mail, the checks are altered and cashed, often for thousands of dollars apiece. 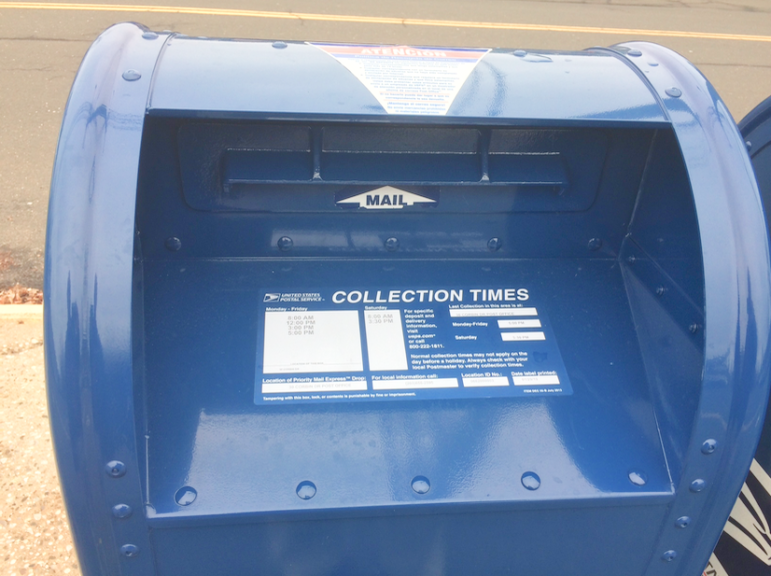 A check for $60 was mailed from one of the outdoor mailboxes on Jan. 13. When the victim checked his bank account several days later, he saw the check had been altered and cashed for $2,398.14 to someone he didn’t know. Another person mailed a check for $260 from one of the outdoor mailboxes on that day. On Jan. 17, a bank notified this person that someone tried to cash the check for $3,700. The account didn’t have enough funds to cover the transaction, and the deposit was denied. The matter was reported to police on Feb. 1. In the previously reported incidents that occurred at about the same time, a total of $17,938.86 was stolen from checks mailed in the mailboxes. The new report of the latest successful theft brings the total from mid- to late-January to $20,136.86, not including the $3,700 declined.